It also comes with a wine glass charm. The Spackle, foundation, and wine glass charm are exactly the same from the first kit. I originally thought about cancelling the auto-delivery for this kit because of the foundation. While the formula is quite nice, the Fair shade is a bit too dark for me. I can get it to blend in if I work with it, but I have so many foundations in my collection and most of them don't require that much effort to wear. However, as luck would have it, the Fair shade is a pretty good match for my mother (which just shows how dark this particular fair shade is -- my mother is not what anyone would consider fair) so she's happy to receive her own bottle from this installment. 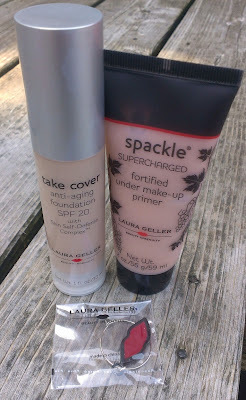 I have fallen completely in love with the Supercharged Spackle and am happy to have a back-up. For me, though, the stars of this kit are the eyeshadow and lipstick. 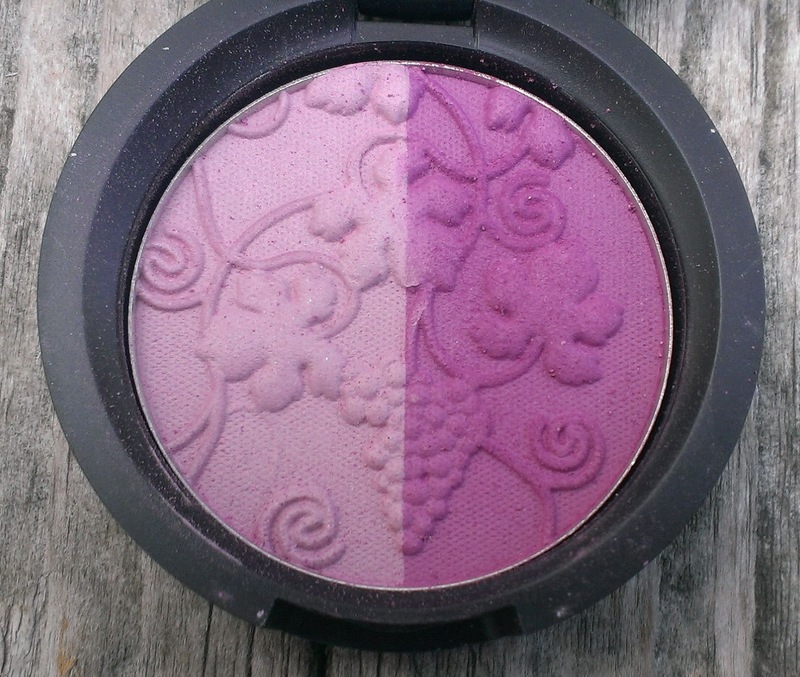 The Baked ImPRESSions Eyeshadow Duo in Vino Cotto features a light lilac shade and a vibrant pinky purple. 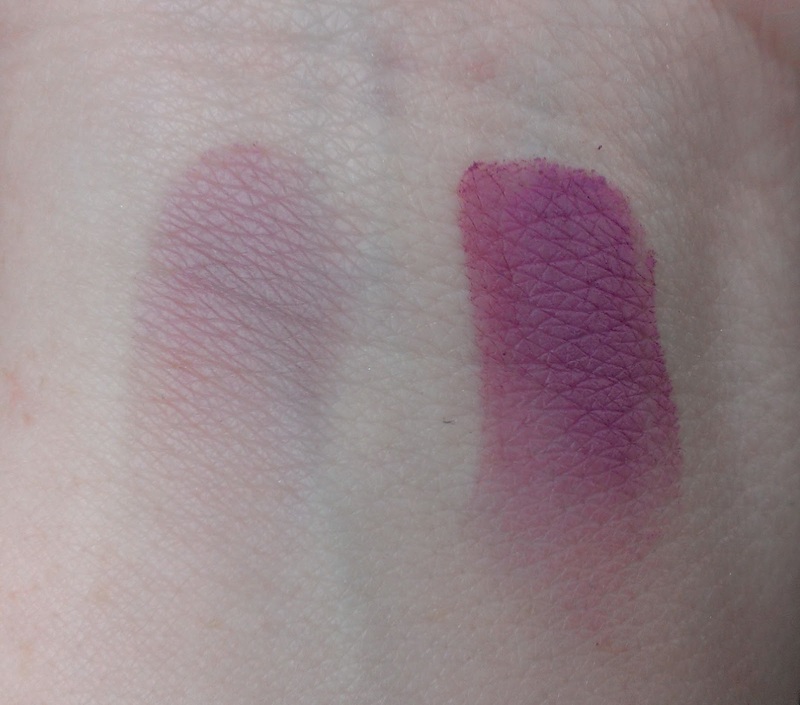 Both shadows are matte. 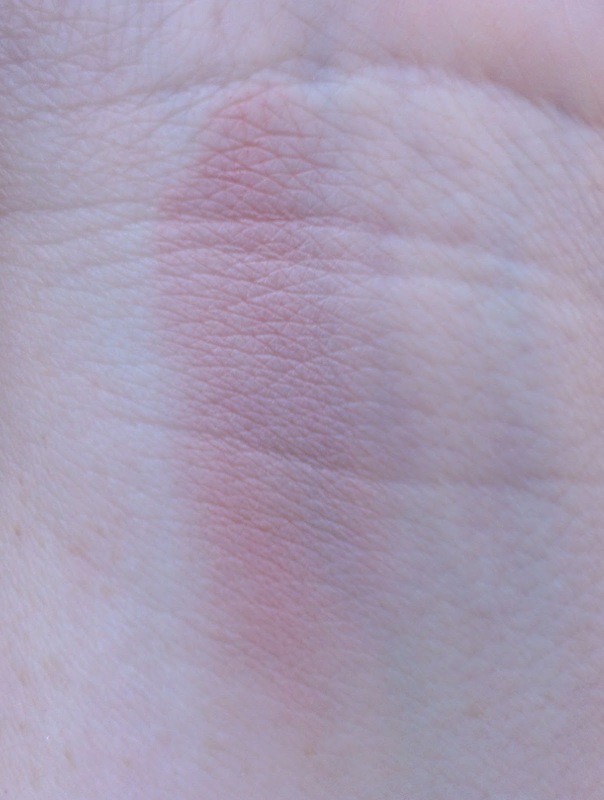 I absolutely adore this shadow combination. With the light lilac shade on the eye and the pinky purple in the crease, you get the perfect spring/summer eye. If you're not comfortable with the brightness of the pinky purple shade, it blends out really easily for a nice soft look. I find both shadows easy to work with, though you can probably tell that the lilac shade isn't quite as pigmented as the pinky purple. Still, you can layer it to get a pretty deep look if that's what you're after. 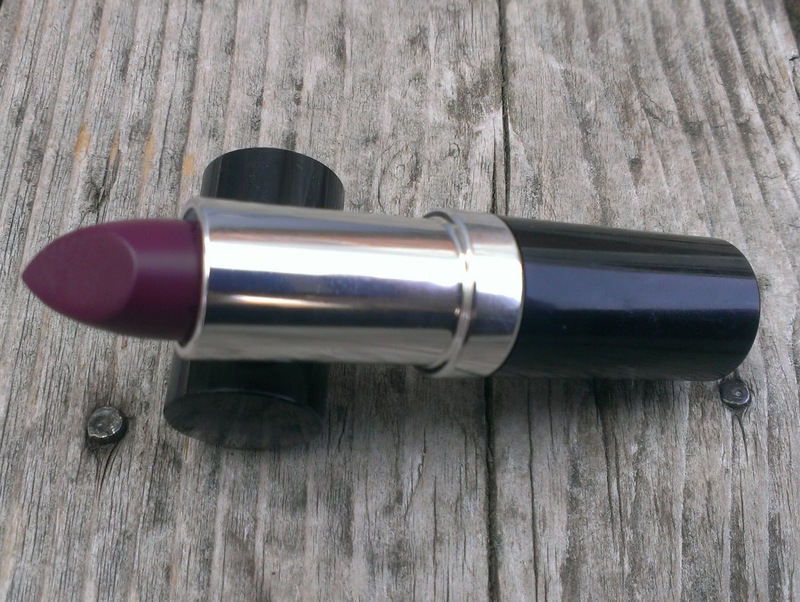 When it comes to the Color Enriched Anti-Aging Lipstick in Cabernet Crush, I have to be honest -- when I first opened the tube, I was taken aback. The color looks so deep and dark, making it an odd choice for a spring or summer makeup palette. Of course, looks are often deceiving, especially when it comes to lipstick in the tube, and that was definitely the case here. The shade is actually a bright pinky purple that seems pretty on trend for spring/summer. It's funny because I don't usually wear bright shades like Cabernet Crush. However, in recent weeks, I've been reading lots of blog posts and watching lots of YouTube videos featuring the Maybelline Color Sensational Vivids Lipsticks and Brazen Berry has totally caught my eye. I was thinking about picking it up but since Cabernet Crush is a similiar shade -- I think Brazen Berry may be a bit more purple, though I'm only going by swatches -- I don't need to get it now. If the color is a little too bright or bold for you, it's easy to tone down by blotting or rubbing it in with a finger. 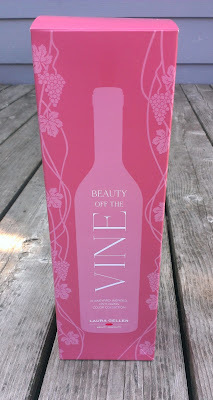 It's a gorgeous color that is perfect for spring. 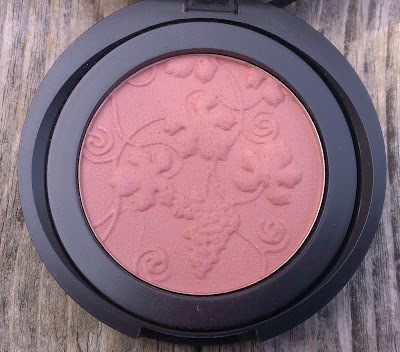 The Baked ImPRESSions Blush in Barolo Blush may seem like nothing special, but really it's the perfect combination with the bright eyeshadow and bold lipstick. 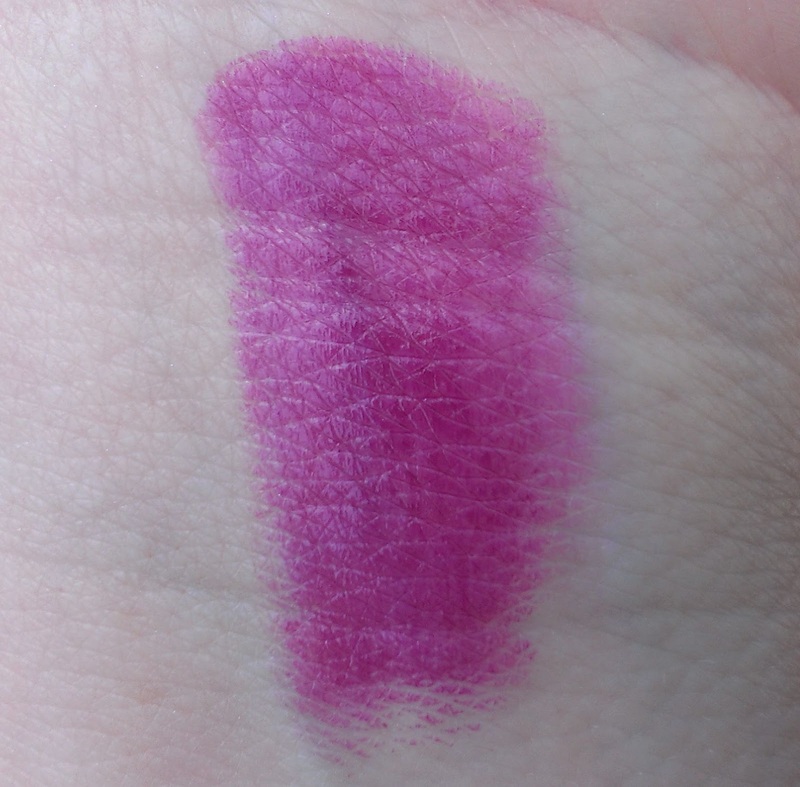 The shade is a soft matte pink. It is a fairly light shade so it looks extremely natural on my fair skin. However, if you have medium or darker skin, you may need to layer the blush a bit to get it to show up. 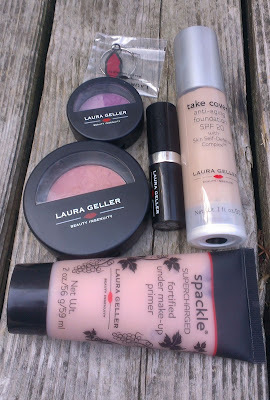 For the Spackle, eyeshadow, and lipstick alone, this kit is worth it to me so I'm very happy that I didn't wind up cancelling the auto-delivery shipments. I may still cancel the final one... I haven't made up my mind yet. What do you think of the shades in this kit? Are you a fan of the bold, bright lip color that seems to be popular this spring? The lipstick shade is nothing short of amazing -- and I say that as someone who doesn't usually wear bright lip colors.